Home Tags Posts tagged with "gambia crisis"
Gambia’s newly-elected President Adama Barrow has returned to the country to assume power – days after his predecessor Yahya Jammeh left to go into exile. The president, who has been in neighboring Senegal, won elections on December 1st. However, a handover was stalled when Yahya Jammeh, Gambia’s leader of 22 years, refused to step aside. Yahya Jammeh left for exile at the weekend after mediation by regional leaders and the threat of military intervention. The new president, dressed in white robes and a cap, stepped off the plane in Banjul as heavily armed troops from Senegal and Nigeria stood by. Overhead, a fighter jet from the West African force guaranteeing Adama Barrow’s security performed fly-pasts. Adama Barrow said his priority was to appoint his cabinet and “then get the ball rolling”. He was driven from the airport in a convoy of cars and waved to the crowds who lined the route. The new president is staying at his own home while a security assessment is carried out at the official residence, State House. AdamaBarrow was sworn in as president at the Gambian embassy in Senegal a week ago, but a public inauguration on home soil is planned soon, aides say. The UN envoy for West Africa, Mohamed ibn Chambas, has said the UN will help guarantee security in The Gambia. Several thousand West African soldiers remain in The Gambia amid reports that rogue pro-Jammeh elements are embedded in the country’s security forces. President Adama Barrow has asked for the force to remain in The Gambia for six months. His spokesman Halifa Sallah said an inauguration was being planned for the national stadium in Banjul. Yahya Jammeh, who was a 29-year-old army lieutenant when he came to power in a 1994 coup, had refused to accept the results of the December election. In other developments, parliament has canceled the state of emergency declared by Yahya Jammeh last week. It also revoked legislation that would have extended its life for a further 90 days. An adviser to Gambia’s new President Adama Barrow has said that more than $11 million is missing from the state coffers following the departure of long-time leader Yahya Jammeh. Mai Ahmad Fatty said financial experts were trying to evaluate the exact loss. Luxury cars and other items were seen being loaded on to a Chadian cargo plane on the night Yahya Jammeh left The Gambia. Yahya Jammeh flew into exile on January 21, ending his 22 years in power. The former leader had refused to accept election results but finally left after mediation by regional leaders and the threat of military intervention. President Adama Barrow remains in neighboring Senegal and it is not clear when he will return. However, West African troops entered the Gambian capital, Banjul, on January 22 to prepare for his arrival. Cheering crowds gathered outside the State House to watch soldiers secure the building. The Senegalese general leading the joint force from five African nations said they were controlling “strategic points to ensure the safety of the population and facilitate… Mr. Barrow’s assumption of his role”. Mai Ahmad Fatty told reporters in the Senegalese capital Dakar that The Gambia was in financial distress. “The coffers are virtually empty,” he said. Mai Ahmad Fatty said Yahya Jammeh had made off with more than $11 million in the past two weeks alone. He said officials at The Gambia’s main airport had been told not to let any of Yahya Jammeh’s belongings leave the country. Reports said some of Yahya Jammeh’s goods were in Guinea where he had stopped on his journey into exile. 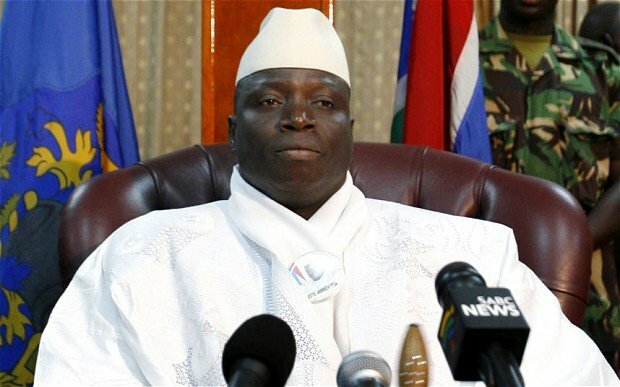 Yahya Jammeh is reported to now be in Equatorial Guinea, although authorities there have not confirmed it. The former president had initially accepted Adama Barrow’s election win on December 1st, but later alleged “irregularities” and called for a fresh vote. The move was internationally condemned and the UN-backed Economic Community of West African States (ECOWAS) issued an ultimatum for him to quit or be removed by force. Yahya Jammeh has left The Gambia in the wake of elections that ousted him after 22 years in power. The former president boarded a plane to Guinea and from there will travel on to exile in Equatorial Guinea, regional group ECOWAS says. Yahya Jammeh was defeated in December’s election by Adama Barrow but went on to challenge the results. 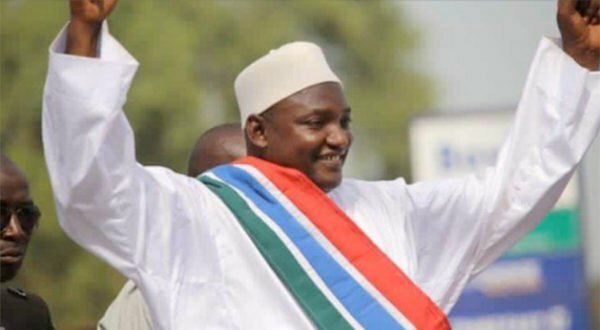 Adama Barrow has been in Senegal but says he will return to The Gambia soon. Marcel de Souza, president of the Economic Community of West African States (ECOWAS), said the military operation that had sent West African troops into The Gambia in support of Adama Barrow, was now ended, although some would remain to ensure security. Adama Barrow has been in neighboring Senegal for days and was inaugurated as president in the Gambian embassy there on January 19. Troops from several West African nations, including Senegal, had been deployed in The Gambia, threatening to drive Yahya Jammeh out of office if he did not agree to go. Yahya Jammeh’s decision to quit his country came after talks with the presidents of Guinea and Mauritania. Guinea’s President Alpha Conde was with Yahya Jammeh and his wife on the plane that left capital Banjul on January 21. In an address on national TV, Yahya Jammeh, who had once said he would rule The Gambia for a billion years, said he would stand down and that it was “not necessary that a single drop of blood be shed”. Yahya Jammeh had at first accepted defeat in the election but then reversed his position, declaring a 90-day state of emergency and blaming irregularities in the electoral process. Gambia’s outgoing President Yahya Jammeh says he will step down, after refusing to accept defeat in elections. Yahya Jammeh made the announcement on national TV, saying it was “not necessary that a single drop of blood be shed”. The statement followed hours of talks between Yahya Jammeh and West African mediators. He gave no details of what deal might have been struck. Yahya Jammeh has led The Gambia for 22 years but was defeated in December’s election by Adama Barrow. Troops from several West African nations, including Senegal, have been deployed in The Gambia, threatening to drive Yahya Jammeh out of office if he did not agree to go. Yahya Jammeh’s decision to quit came after talks with the presidents of Guinea and Mauritania. He said: “I have decided today in good conscience to relinquish the mantle of leadership of this great nation with infinite gratitude to all Gambians. Shortly before the TV address, Mauritanian President Mohamed Ould Abdel Aziz said that a deal had been struck and that Yahya Jammeh would leave the country. He gave no further details. Yahya Jammeh was given an ultimatum to leave office or be forced out by UN-backed troops, which expired at 16.00 GMT on January 20. The deadline was set by the Economic Community of West African States (ECOWAS), a regional grouping backed by the UN. Yahya Jammeh had at first accepted defeat in the election but then reversed his position and said he would not step down. He declared a 90-day state of emergency, blaming irregularities in the electoral process. The electoral commission accepted that some of its early results had contained errors but said they would not have affected Adama Barrow’s win. Yahya Jammeh had vowed to stay in office until new elections were held. The ECOWAS has given Gambian incumbent President Yahya Jammeh a final opportunity to relinquish power after Senegalese troops entered his country. Yahya Jammeh has been given until noon on January 20 to leave office or be forced out by UN-backed regional forces. Troops have been told to halt their advance until the deadline passes. The Economic Community of West African States (ECOWAS) is acting in support of Adama Barrow, who was sworn in as the new Gambian president on January 19. Adama Barrow’s legitimacy as president, after winning last month’s election, has been recognized internationally. Last-ditch mediation talks, led by Guinea’s President Alpha Conde, were due today. Mauritanian President Mohamed Ould Abdel Aziz is on his way to Banjul, and Alpha Conde is reported to be with him. Chairman of the ECOWAS commission, Marcel Alain de Souza, said that if the meeting with Alpha Conde proved unsuccessful, military action would follow. “If by midday, he [Yahya Jammeh] doesn’t agree to leave The Gambia under the banner of President Conde, we really will intervene militarily,” Marcel Alain de Souza said. ECOWAS said that its forces had encountered no resistance after entering The Gambia on January 19. Troops from Senegal and other West African countries crossed into The Gambia after an initial deadline for Yahya Jammeh to stand down passed without his resignation. 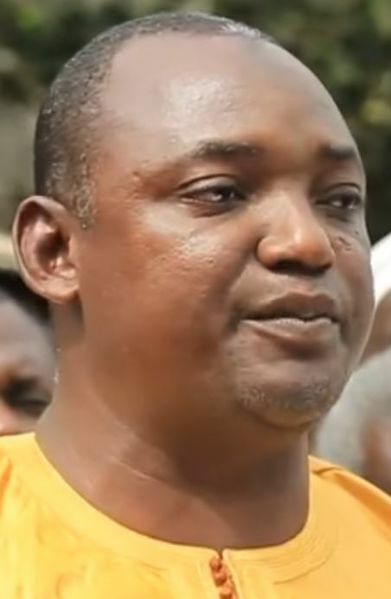 Adama Barrow, who remains in Senegal, has said that he will not return to Gambia’s capital, Banjul, until the military operation has ended. The threat by the West African regional bloc ECOWAS to remove Yahya Jammeh by force is supported by the 15-member UN Security Council, although the council has stressed that a political solution should be the priority. In his inaugural speech at the Gambian embassy in Senegal’s capital, Dakar, President Adama Barrow ordered all members of The Gambia’s armed forces to remain in their barracks. Any found illegally bearing arms would be considered “rebels”, he said. Amid the crisis, the UN refugee agency reported that more than 45,000 people had fled The Gambia for Senegal so far in 2017. More people could leave if the situation was not resolved, the UNHCR said. After first accepting defeat in the election Yahya Jammeh reversed his position and said he would not step down. He declared a 90-day state of emergency, blaming irregularities in the electoral process. Yahya Jammeh has said he will stay in office until new elections are held. Remaining in power would also give Yahya Jammeh protection against prosecution for alleged abuses committed during his rule. The Gambia’s President-elect Adama Barrow has announced he will be sworn in at the country’s embassy in neighboring Senegal. The message, posted on his social media accounts, invited the general public to attend the ceremony. Last-ditch efforts by regional leaders to convince outgoing President Yahya Jammeh to step down failed overnight. 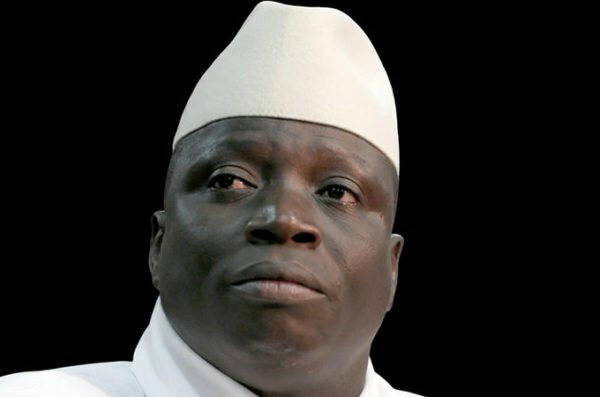 Yahya Jammeh lost elections last month, but wants the results annulled citing errors in the electoral process. West African military forces are ready to enforce a transfer of power in The Gambia, a popular beach destination among European tourists. Senegalese troops remain stationed at the Gambian border, despite the deadline for Yahya Jammeh to stand down passing at midnight. The threat of military action is supported by Nigeria and other states in the region. Adama Barrow has been in Senegal since January 15 following an invitation to attend a summit of African leaders who back his victory. He tweeted and posted on Facebook that his inauguration would take place at 16:00 GMT at the embassy in the capital, Dakar. At least 26,000 Gambians, fearful that violence could erupt, have sought refuge in Senegal. Meanwhile, thousands of European tourists continue to be evacuated from The Gambia.